There can be times in your life you find yourself feeling alone, not knowing who to turn to or who to trust with your distressing thoughts and situation. Are you feeling this way now? are you feeling tired and exhausted? physically and emotionally? You have made the decision to reach out and would like to meet with a trained professional for support and to be able to talk openly and confidentially about what is troubling you. I am here to listen, support and help you during these difficult times that you are finding challenging. You will have the peace of mind and the freedom to express your feelings, knowing that everything discussed is confidential. 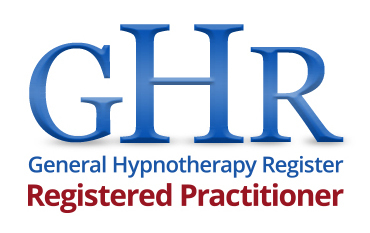 I am registered with the BACP and a fully insured Integrative therapist, Specializing in trauma and anxiety, I am also a Clinical Hypnotherapist registered with the GHR. An integrative therapist uses a combination of counselling approaches. I take the view that there is no single approach that can treat a person in all situations. Each individual has different needs, I look at you and your life as a whole and use therapeutic techniques that are tailored to your needs and personal circumstances. I believe that there are many ways in which human psychology can be explored and understood and no one theory holds the answer. All theories are considered to have value, hence the need to integrate them. Essentially as an integrative counsellor, I am not only concerned with what works, but why it works, so I tailor therapy to suit your needs, lifestyle and personality. About Me and what I can offer you. I am passionate and enthusiastic about my work, and my aim is to give you a confidential service adapted to your individual needs in comfortable and relaxing surroundings in the Prestatyn and Colwyn Bay area. I accept EAP referrals, Critical incident de-briefing- group or individual. My professional background is in mental health holistic health care, As a Clinical Hypnotherapist and Integrative Counsellor I enjoy and I am required to participate in continuing professional development to meet the criteria for private practice registration. I run a private therapy practice and have many years of experience in mental health holistic health care. I offer EMDR and specialize in Vicarious trauma, PTSD, Anxiety and Stress-related conditions. I currently offer private consultations and referrals, EAP referrals and accept work from agencies and the emergency services, I have previously worked voluntary for North Denbighshire domestic abuse services. I specialize in Vicarious trauma, PTSD, Anxiety and stress. I offer a Free 15 minute telephone consultation. A £35 deposit is required to secure your appointment at the time of booking, This is refundable only if more than 24 hours notice is given. When contacting me please state which therapy room you would like to attend Prestatyn or Colwyn Bay, and your available times and dates. Payment is bank transfer or PayPal. You are looking for support, Do you want a positive change and a better quality of life? Someone to talk to openly in a confidential environment, Then Integrative Counselling - EMDR or Clinical Hypnotherapy is for you. Together we explore your thoughts, responses and reasons you are feeling the way you do, We work together to achieve the results you want. Don't live unhappily for a moment longer- Change your life today- And start living to your full potential. Colwyn Bay - Monday-Thursday 8am-4pm Prestatyn - Friday 8am-3pm Evening appointments can be arranged subject to availability.